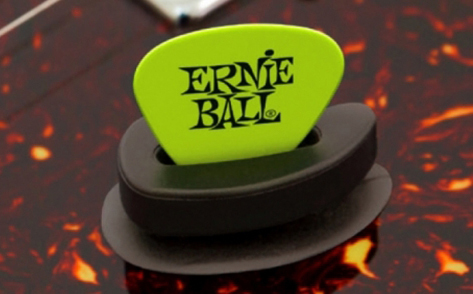 Pick Buddy, Other Guitar Accessory from Ernie Ball. 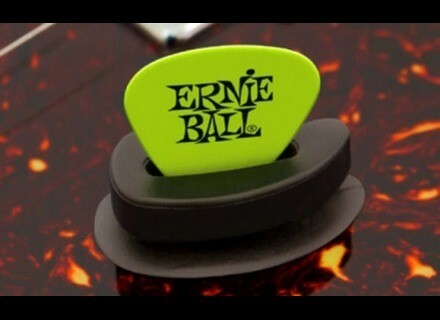 "Never lose your pick again": this is the promise made by Ernie Ball with their new Pick Buddy pick holder. The Pick Buddy is an adhesive-free compact thermoplastic holder that keeps your pick close at hand, which should be useful to those who combine various finger-style & plectrum techniques on bass or guitar. Using Ernie Ball's innovative self-adhesive suction technology, users simply need to press the Pick Buddy onto their pickguard (or nearly any surface of their instrument) for instant access to their pick. No MSRP was announced. More details at www.ernieball.com. [BKFR] 15% off four models at Keeley As an early Black Frideay deal, Robert Keeley is currently offering a 15% discount on four stompbox models. Chase Bliss Audio announce Spectre flanger The name's Bliss, Chase Bliss... And for Black Friday, they're to release their own version of Spectre - not a blockbuster, a guitar flanger. Dawner Prince Electronics releases Boonar Dawner Prince Electronics presents Boonar, a multi-head drum echo based on the Binson Echorec.